Flight training company CAE has embarked on an ambitious C$1 billion (£600m) project with the government of Canada to develop innovations for the training industry. One of the main objectives is Project Digital Intelligence, a digital transformation project to develop the next generation training solutions for aviation, defence & security and healthcare. The Government of Canada and the Government of Quebec will provide a combined investment of close to C$200m (£120m) over the next five years. 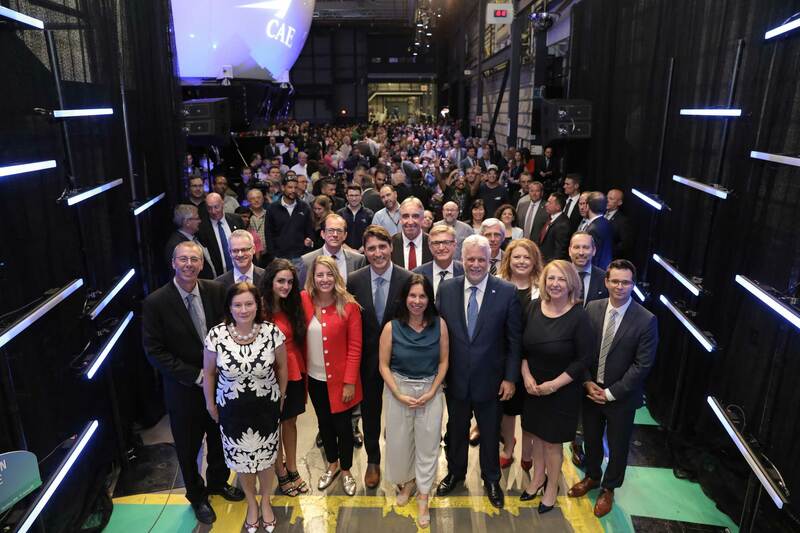 Executives and employees of CAE were joined by Canadian Prime Minister Justin Trudeau and Premier of Quebec Philippe Couillard for the announcement which signals one of the most significant investments in innovation in the worldwide aviation training industry. “As a powerhouse of innovation, CAE has been at the forefront of the training industry, including digital technology, for years,” said Marc Parent, President and Chief Executive Officer of CAE. “By seizing new technologies such as artificial intelligence, big data, or augmented reality, as well as many others, and applying them to the science of learning, we will revolutionise the training experience of pilots, aircrews and healthcare professionals, as well as improve safety. Project Digital Intelligence will transform CAE’s products and services to leverage digital technologies, ranging from big data to artificial intelligence, cloud-computing, cybersecurity and augmented/virtual reality. CAE will carry out Project Digital Intelligence in Canada, utilising its R&D laboratories, as well as its test and integration facilities. Throughout Project Digital Intelligence, CAE will collaborate and co-develop technology solutions with small and medium companies from across Canada and will qualify more than 150 new innovative suppliers across the country. The project is expected to create and maintain thousands of highly skilled jobs at CAE in Canada and in CAE’s Canadian-based supply chain. CAE employs approximately 4,000 people in 18 locations across Canada and more than 5,000 in the rest of the world. It’s a deal! 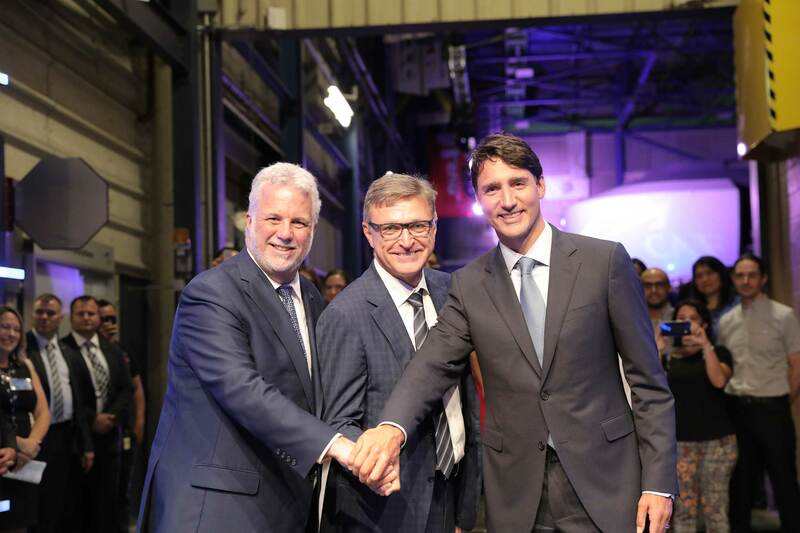 Canada’s Prime Minister Justin Trudeau, right, shakes hands with Premier of Quebec, Philippe Couillard, left, and CAE’s Marc Parent, President and Chief Executive Officer. Justin Trudeau, Prime Minister of Canada, said, “Today’s announcement is about creating high-skilled jobs in Canada today, while making sure Canada’s next generation of pilots, engineers, doctors, and nurses have access to some of the most advanced simulation tools and training programs in the world.